We rent community facilities and park shelters to community organizations, groups and citizens. Groups are responsible for all setup and cleanup and must provide their own supplies, decorations, table coverings and food. Park shelters are for public purposes only and groups renting our facilities are not permitted to charge admission, registration fees, or host events that raise funds for personal or for-profit organizations. Please note, a kitchen is not available to use at the facilities. 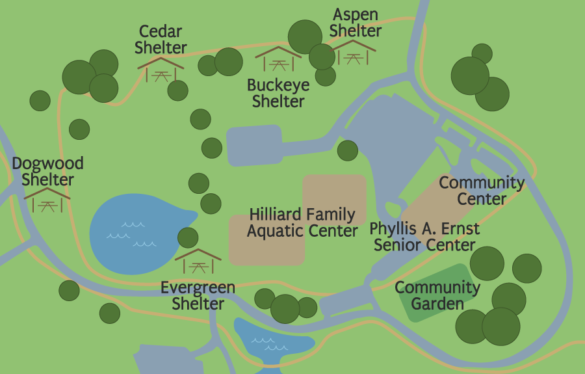 There are five shelter houses in the Roger A. Reynolds Municipal Park that can be reserved for a non-refundable fee of $100 per day. Non-profit organizations are eligible for a reduced rate of $50 per day. Shelter rentals can only be made online and registration opens on the first business day of each calendar year. You may reserve a shelter between 8:00 am and 9:00 pm. Roger A. Reynolds Municipal Park may also be rented for 5K walks or runs for a $200 fee per race. This includes a shelter house rental and Municipal Park trail. 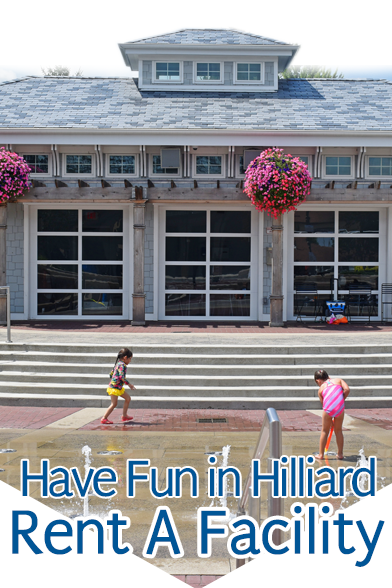 You can learn about rental fees for Hilliard’s Station Park here. The Community Center and Phyllis A. Ernst Senior Center are available for meetings, seminars and private parties on the days and times listed below. For weekday reservations, please contact Hayley Bush. Availability changes seasonally with programs. Due to high demand for field space, organizations are assigned priority scheduling for certain fields in exchange for fees and maintenance agreements. We implement a lottery system for other teams that are requesting field space to provide a reasonable solution. To learn more about our fields and the fees, contact Jon Miller. Email Hayley Bush for additional information about shelter or room reservations.